Garland Fronabarger was born in Oak Ridge, on April 24, 1904. He attended Southeast Missouri State University and earned a degree in journalism from the University of Missouri-Columbia in 1926 – 1927. He and his young bride, the former Mae Whitener, returned to Cape Girardeau with their new son, Bill, in 1927. Fronabarger began his career at the Southeast Missourian on Oct. 27, 1927. 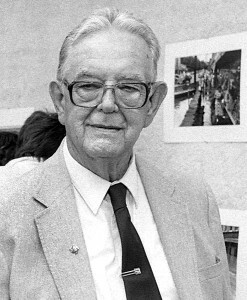 For the next six decades, his words and his photography documented the history of Southeast Missouri. 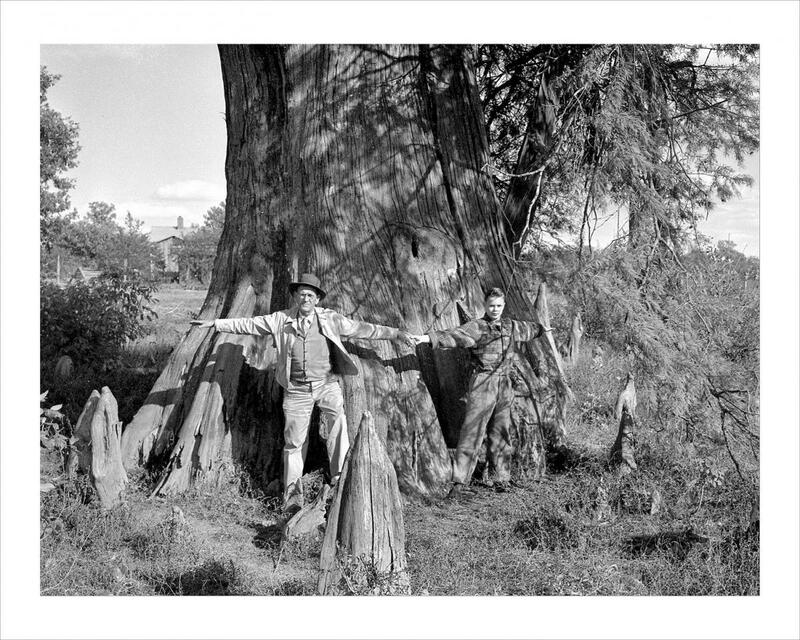 Fronabarger’s burgeoning photographic skills, nurtured by a Cape Girardeau studio photographer, were truly tested in 1937, when he covered a devastating Mississippi River flood. In each edition published during those days of tragedy, his photographs illustrated the articles he and other reporters wrote. He would go on to document, both in word and in image, other major events that shaped Southeast Missouri, including visits by past and future presidents; the last legal double hanging in the state; and a tornado that hop-scotched across Cape Girardeau, killing 22. But Fronabarger’s bread-and-butter were the mundane moments that he captured on film, giving today’s viewers a glimpse of their mothers and fathers, grandmothers and grandfathers taking part in the every-day happenings of this river town and its environs. 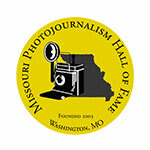 He continued to take photographs for the Southeast Missourian until he retired in 1986. He died on Nov. 21, 1992 in Cape Girardeau.